This safe stable rails enhances the store on sale day. 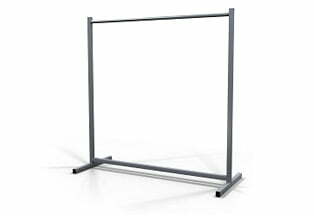 Silver or black, fully welded and sturdy – this garment rail enhances the store image during a hectic sale day. They interlock to save space when empty.